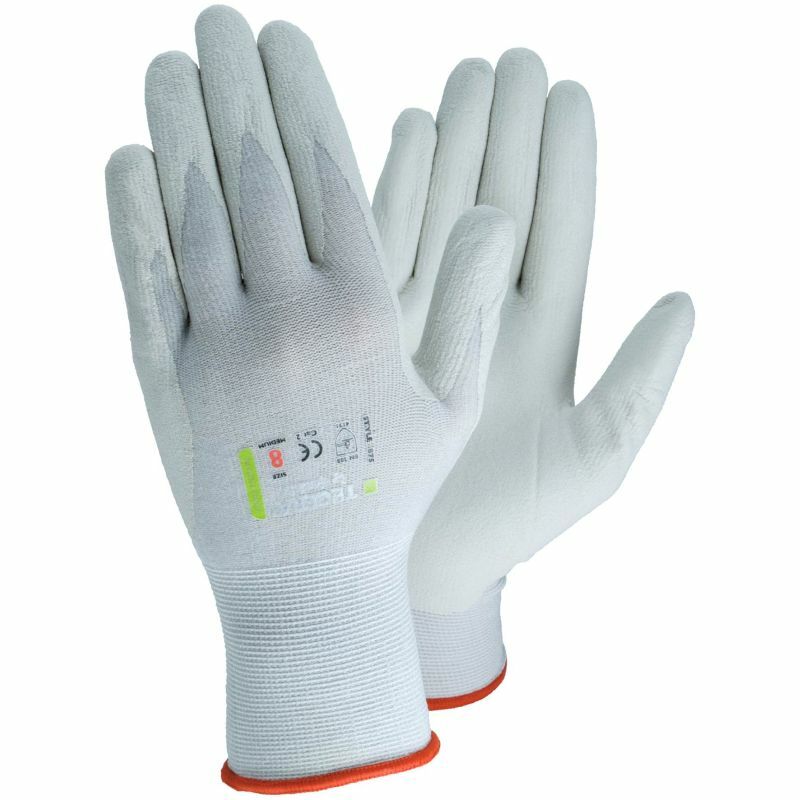 Fine assembly work calls for safety gloves that provide not only reliable protection, but freedom of movement and fingertip sensitivity as well. The Ejendals Tegera 875 Palm Dipped Precision Work Gloves are made from lightweight Lycra and nylon materials, and palm-dipped with nitrile for excellent water and oil resistance. The 875 Palm Dipped Precision Work Gloves are designated Category II gloves, which means that they are suitable for most medium-work applications. The Tegera 875 Gloves are available in six sizes that should suit the hands of most users. Please measure the circumference of your hand around the knuckles (excluding the thumb) with your hand open and your fingers together, and the length of your hand from the tip of your middle finger to your wrist.